AirAsia has joined the world of Dota 2 Esports with their sponsorship of Team Mineski. The sponsorship of the multi-national team was announced recently at Resorts World Genting during the ESL One Genting 2018 competition. What is Dota 2 Esports? For those new to gaming, Dota 2 is a multiplayer Action Real Time Strategy game. Top level players compete in the Dota 2 Pro Circuit to win Qualifying points towards the International competition. Mineski Pro Team is the top Dota 2 team in Asean and currently ranked 5th in the Dota Pro Circuit with 810 qualifying points. 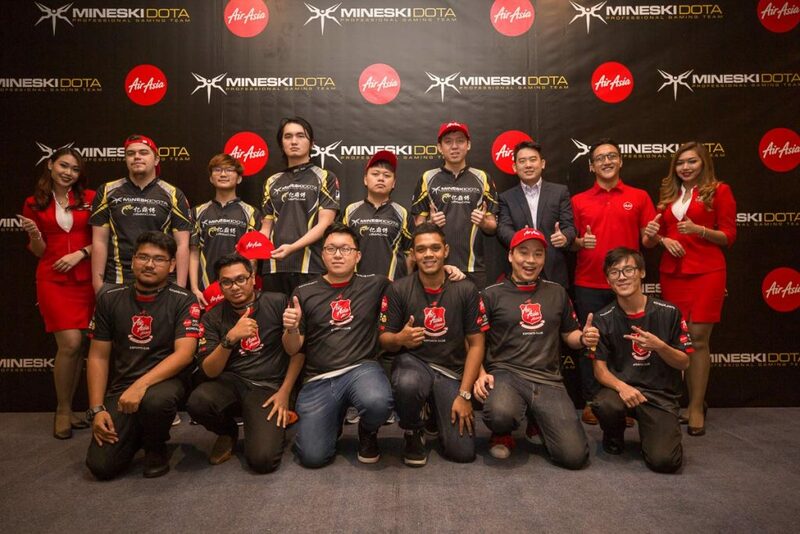 AirAsia’s signing as special sponsor and exclusive airline partner of Mineski Pro Team will make travelling the circuit much easier. He also commented that AirAsia is committed to supporting the region’s top talents, adding that as a digital airline, they are thrilled to support esports champions Mineski Team Pro. Mineski Pro Team team captain Chai “Mushi” Yee Fung is excited to be representing AirAsia in Esports. You can follow the team’s progress on AirAsia’s Facebook page.